Okay, we are on to the lining! 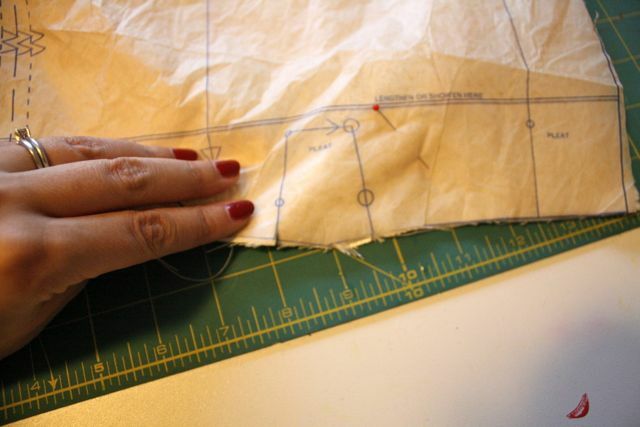 For these steps, you'll need the front facing, bodice front lining, and bodice back lining pieces. 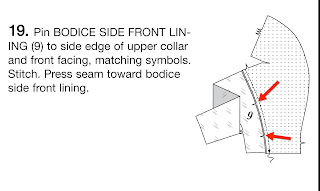 Reinforce that pivot point on the facing, just like you did on the bodice front. Clip to the point. 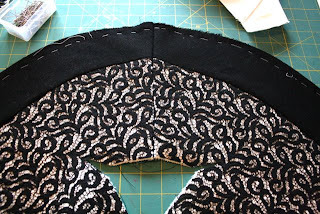 Next, pin your bodice front lining to the front facing. This is kind of like a princess seam. 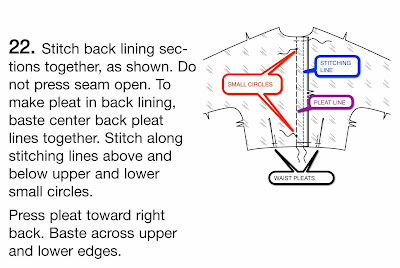 Start by matching the notches, indicated by the red arrows in the illustration below. You can see my extra ease pinned in here. 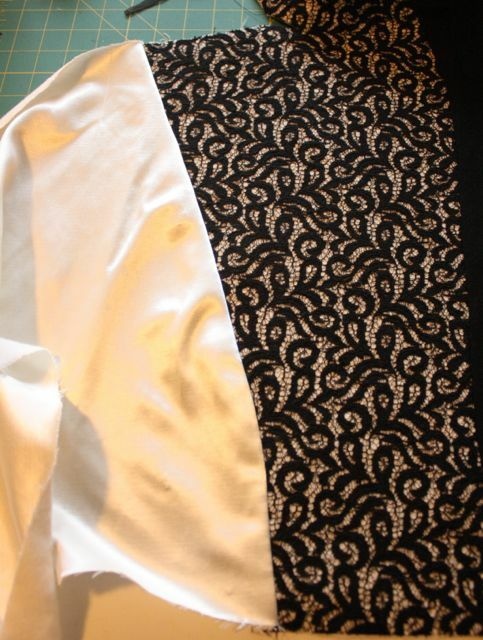 Sewing it with the lining on the bottom worked like a charm. 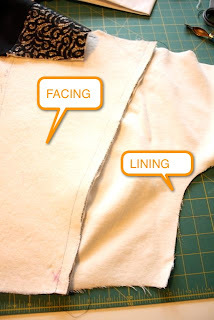 Press the seam flat and then toward the lining. 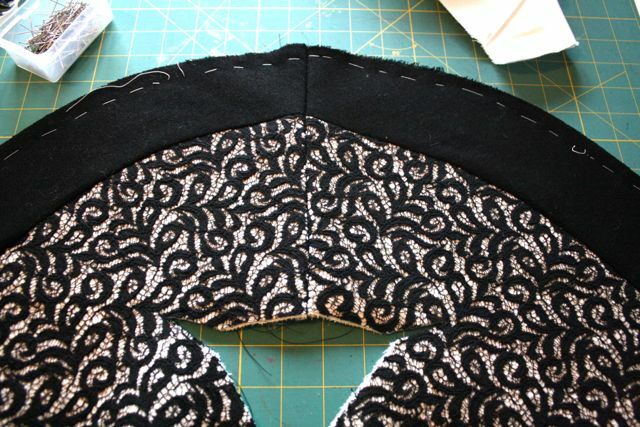 Next, you'll stitch the bodice front facings together at center back. Instead of darts at the waistline, there are pleats, which give the lining a little extra moving ease. 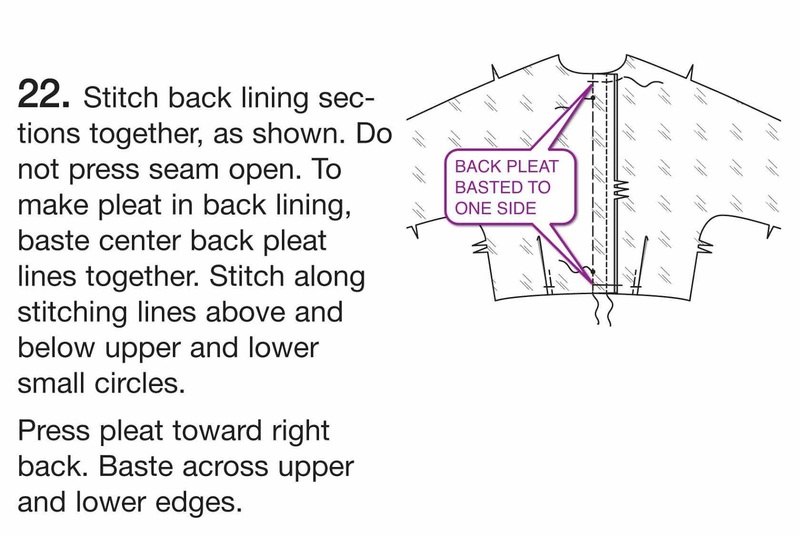 There's also a center back pleat, for the same reason. 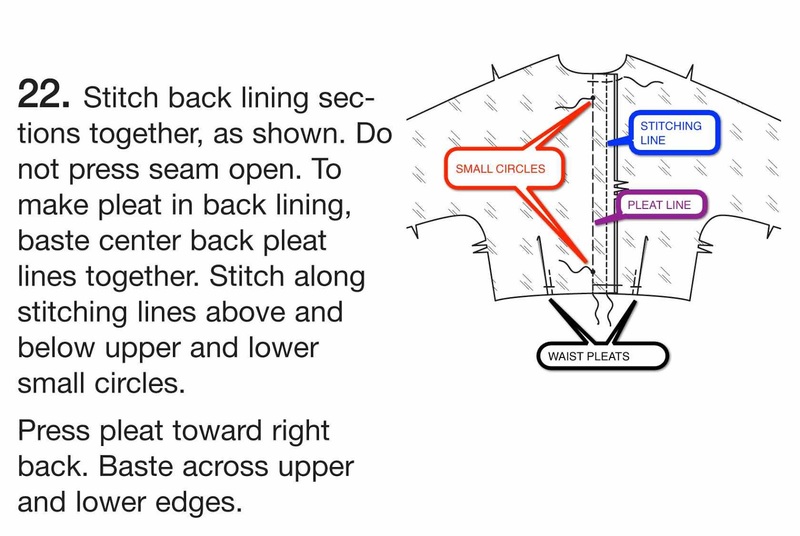 Make sure you have the small circles and the pleat line marked, as we'll be using them in the next steps. 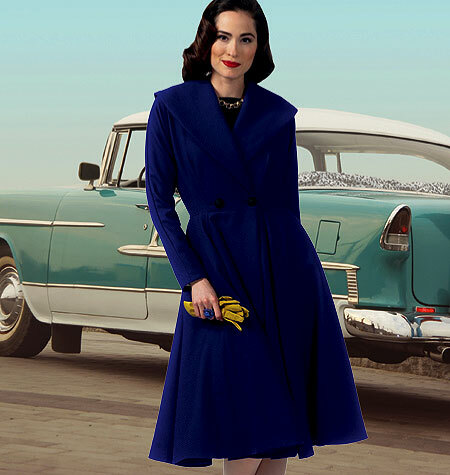 First, the waistline pleats. I confess that I'm a little less fastidious in my marking and sewing than the directions call for. 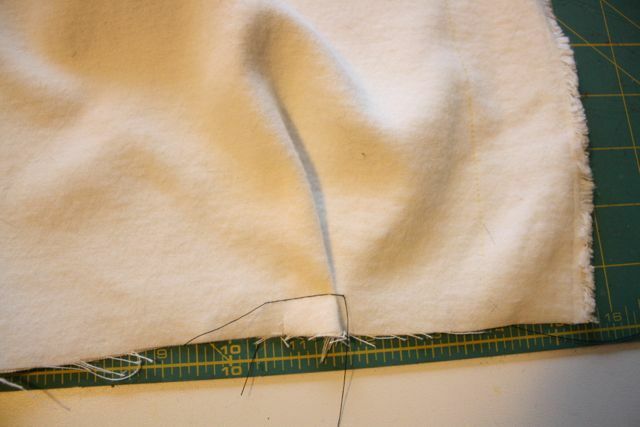 What you see below is how I sewed the blue sample coat on the model, and it works well, in my opinion. Instead of marking the pleats with tracing paper, I just snip into the bottom of the pleat lines in the seam allowance. Then, to sew, fold and pin your pleat snips together, with the bulk of the pleat facing center back (just like you would press a dart toward center back). Then, machine baste the pleat in place within the seam allowance. Next, onto the center back. 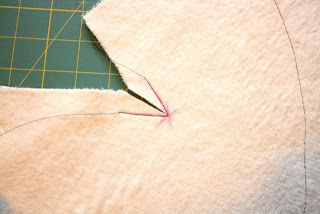 First, pin and stitch the two pieces together at 5/8" at center back. Do not press this seam yet. 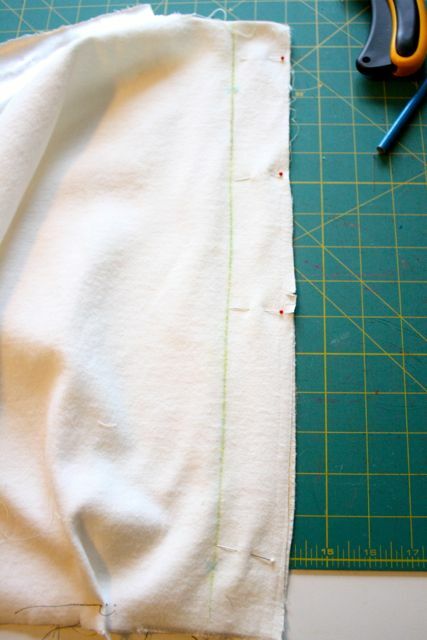 Press the pleat to one side and then baste it down at the top and bottom in the seam allowances. 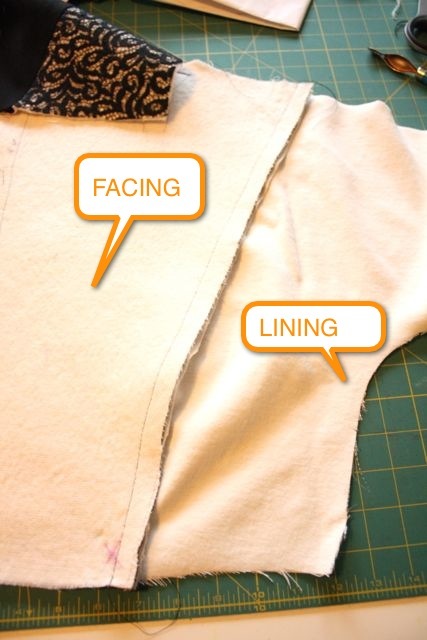 In the next steps, you'll sew the bodice front lining to the bodice back lining exactly as you did with your outer fabric. Yay, another chance to practice your pivot points! See my post and video here for a refresher. 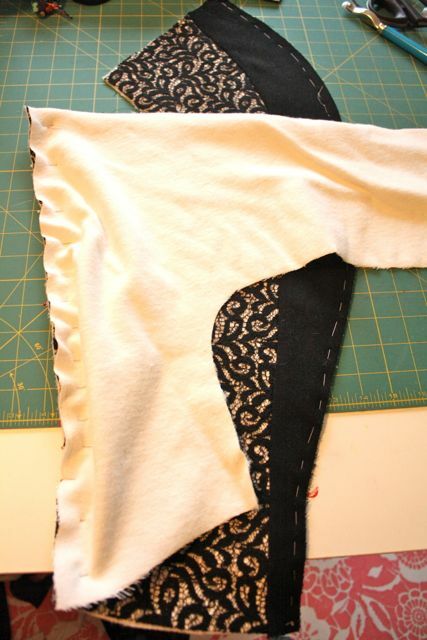 Lastly, stitch the underarm seam and reinforce the underarm. Don't forget to press these seams just like you did for the outer coat. Whew! 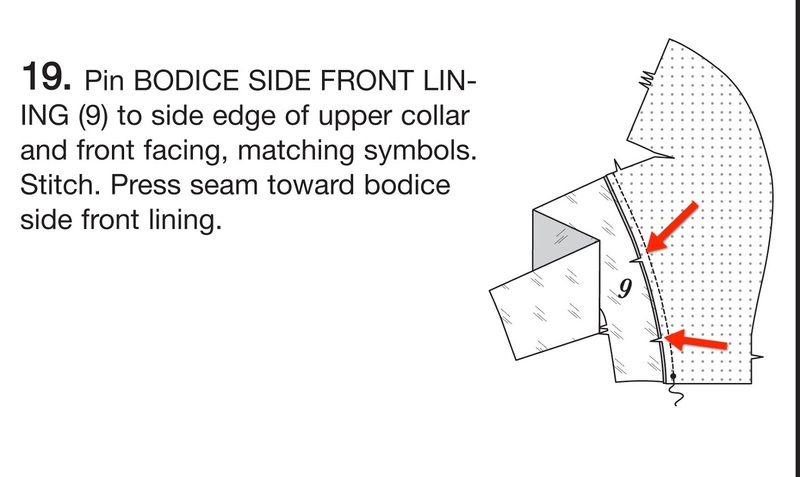 Your bodice lining is constructed. What's next? 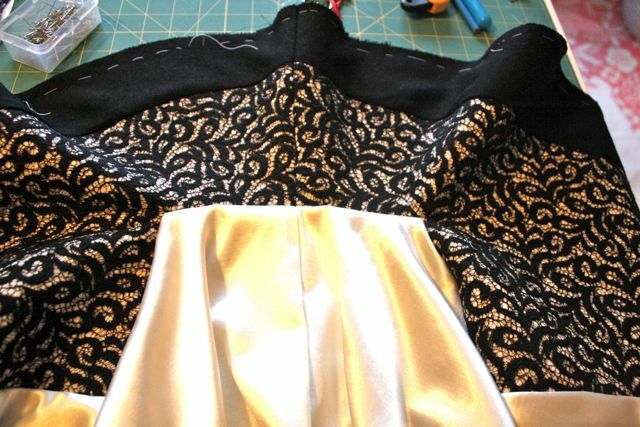 I'm going to leave you all on your own to construct the skirt lining. 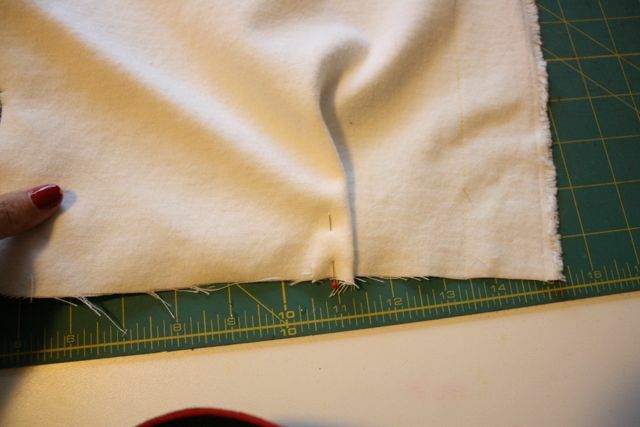 There's nothing tricky here, just remember to stitch from the bottom of the skirt seams up to the top. Then sew the bodice lining to the skirt lining as we did for the outer coat. We'll meet back here next week for inserting the lining! 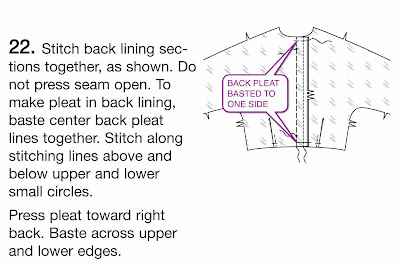 Interesting how you point at the direction of machine sewing. 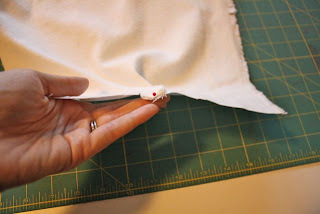 I had never thought about that, sewing always with the biggest bulk of fabric off the machine and the smaller part towards the inside of the machine. 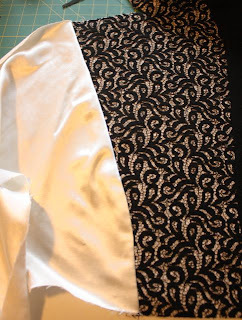 Perhaps sometime you could explain how can the direction of machine sewing influence the result. I don't see why or how. In another order of things, I am reading your book and learning. You did a wonderful job!